Divorce, amicable or not, is a difficult process for anyone to go through. I consider it my job to help you get through this distressing time in your life with as little damage as possible. When you turn to me, I will work hard to see that your needs are met. 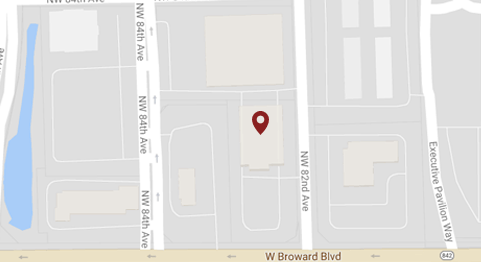 Please contact my Broward County divorce office online today to learn more about my family law services. You may also call us at 954-474-9500 to speak with an aggressive family law attorney about your situation. I am a certified family law specialist. This title was granted to me by the Florida Bar Board of Legal Specialization and Education because of my commitment to and experience with divorce and related cases in Fort Lauderdale and the surrounding parts of Broward County. With many years of experience as a divorce lawyer on my side, I can take on the most complex divorce cases. From high-profile those involving complex child custody matters, to more amicable cases, I know what it takes to get results. Whenever possible, securing the dissolution of marriage through mediation or collaborative law is preferable to a costly, time-consuming and stressful court battle. As part of my practice, I attend mediation with my clients both before and after filing of a divorce case. Unfortunately, mediation does not work for everyone. When amicable means fail to lead to a divorce settlement and a case turns into a battle, it is called a contested divorce. As a lawyer, I have extensive experience in dealing specifically with contested divorce situations. In these cases, I start with thorough preparation to protect my clients' interests in court. This includes working with professionals such as forensic accountants, business valuation specialists, child psychologists and others in my quest to present the best possible case. I am ready to do what it takes to see that your best interests are met, whether you are interested in divorce, legal separation or any related matter. Contact my law office online or call me at 954-474-9500 to schedule a consultation with an aggressive, experienced divorce attorney.